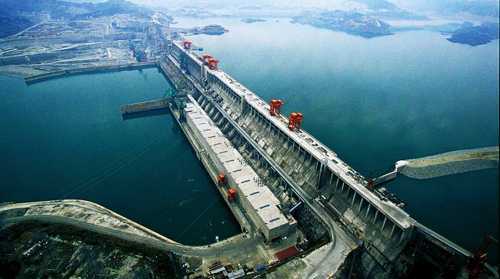 The Three Gorges Dam is the world's largest power station in terms of installed capacity (22,500 MW). It is a hydroelectric dam that spans the Yangtze River by the town of Sandouping, located in Yiling District, Yichang, Hubei province, China. 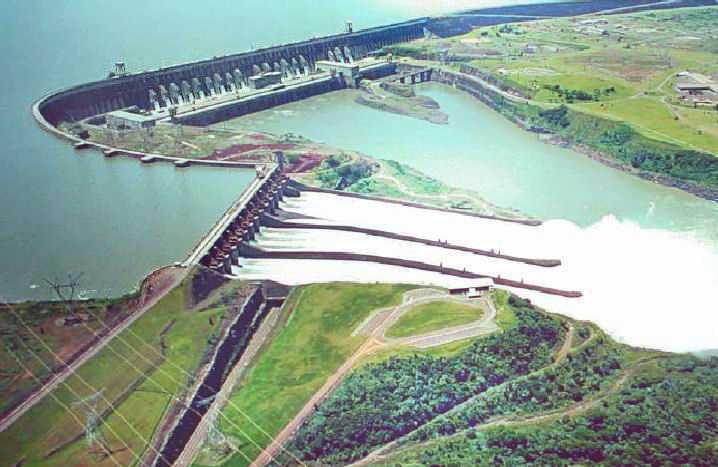 In 2014 the dam generated 98.8 TWh of electricity, setting a new world record by 0.17 TWh previously held by the Itaipú Dam on the Brazil/Paraguay border in 2013 of 98.63. 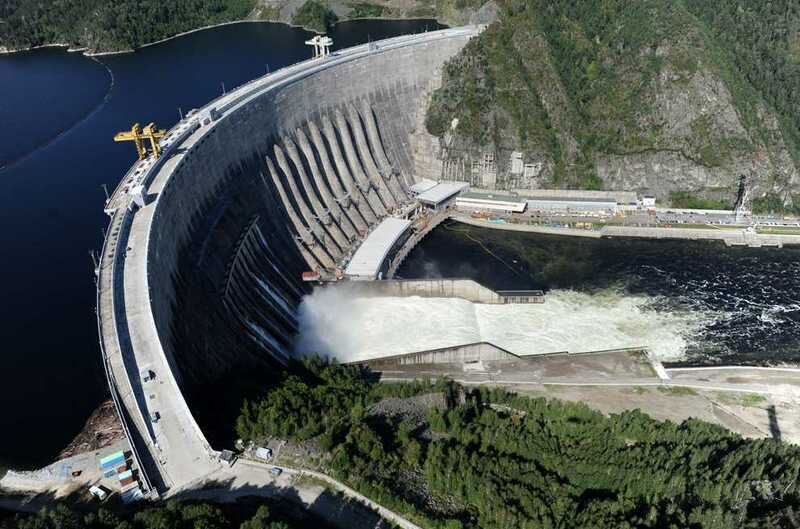 But in 2015, the Itaipu power plant resumed the lead in annual worldwide production, producing 89.5 TWh. 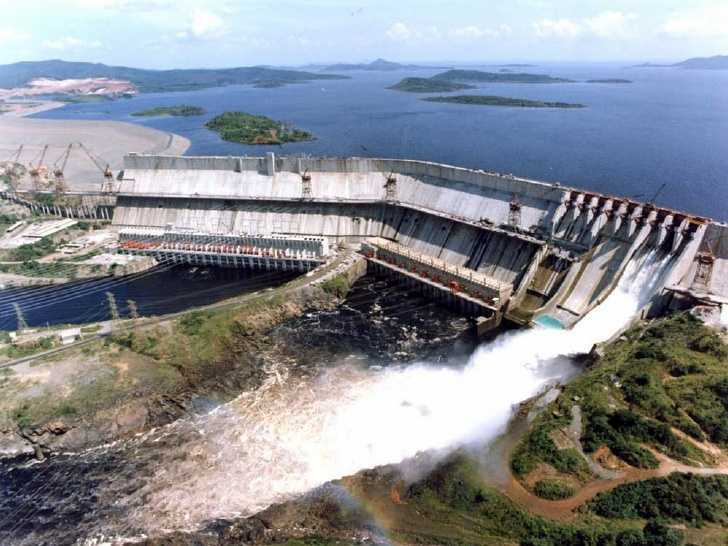 The Itaipu Dam is a hydroelectric dam on the Paraná River located on the border between Brazil and Paraguay. It is a binational undertaking run by Brazil and Paraguay at the Paraná River on the border section between the two countries, 15 km north of the Friendship Bridge. The installed generation capacity of the plant is 14 GW, with 20 generating units providing 700 MW each with a hydraulic design head of 118 metres (387 ft). In 2013 the plant generated a record 98.6 TWh, supplying approximately 75% of the electricity consumed by Paraguay and 17% of that consumed by Brazil. The Xiluodu Dam is an arch dam on the Jinsha River, Yangtze, China. The primary purpose of the dam is hydroelectric power generation and its power station has an installed capacity of 13,860 MW. Additionally, the dam provides for flood control, silt control and its regulated water releases are intended to improve navigation downstream. Construction on the dam and power station began in 2005 and the first generator was commissioned in 2013, the last in 2014. 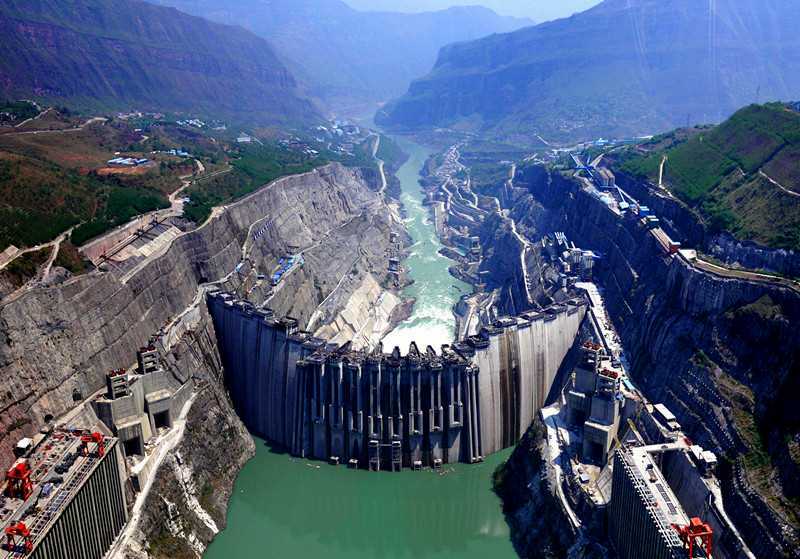 It is operated by China Yangtze Power and is currently the second largest power station in China along with the fourth tallest dam in the world. The Guri Dam is a concrete gravity and embankment dam in Bolívar State, Venezuela on the Caroni River. Its official name is Central Hidroeléctrica Simón Bolívar, installed power 10,200 MW. It is 7,426 metres long and 162 m high. It impounds the large Guri Reservoir (Embalse de Guri), with a surface area of 4,250 square kilometres (1,641 sq mi) it is the largest fresh water body of water in Venezuela and the eleventh largest man-made lake in the world. Grand Coulee Dam is a gravity dam on the Columbia River in the U.S. state of Washington built to produce hydroelectric power and provide irrigation water. It was constructed between 1933 and 1942, originally with two power plants. A third power station was completed in 1974 to increase its energy production. It is the largest electric power-producing facility in the United States. It's installed power is 6,809 MW. Longtan Dam is a large roller compacted concrete gravity dam on the Hongshui River in Tian'e County of the Guangxi Zhuang Autonomous Region, China, a tributary of the Xi River and the Pearl River. The dam is 216.2 m (709.3 ft) high and 849 m (2,785 ft) long; it is the tallest of its type in the world and it's installed power 6,426 MW. The dam is intended for hydroelectric power production, flood control and navigation. 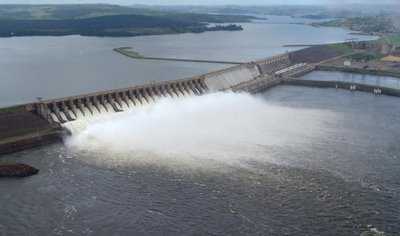 The dam contains seven surface spillways, two bottom outlets and an underground power station. The Sayano Shushenskaya Dam is located on the Yenisei River, near Sayanogorsk in Khakassia, Russia. It is the largest power plant in Russia. 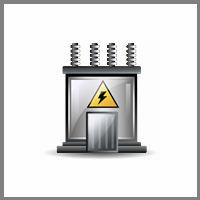 The full legal name of the power plant, OJSC [Open Joint-Stock Society] P. S. Neporozhny Sayano-Shushenskaya HPP [hydro power plant], refers to the Soviet-time Minister of Energy and Electrification Pyotr Neporozhny. It's installed power 6,400 MW. 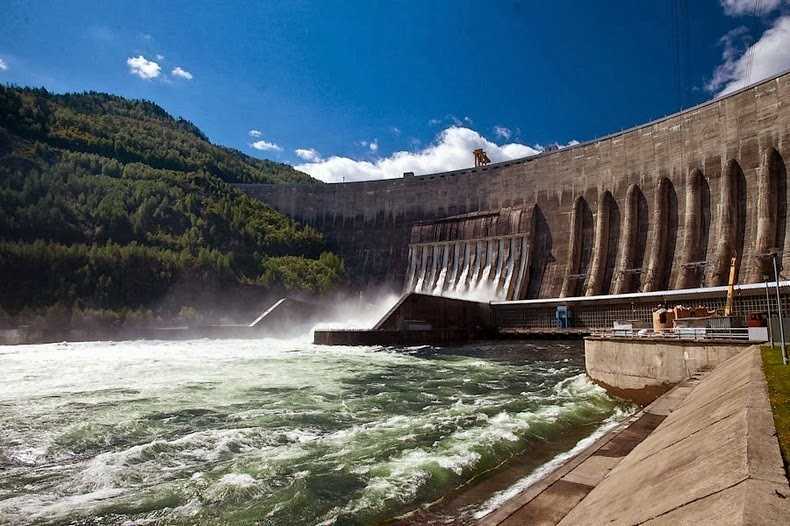 The Krasnoyarsk Dam is a 124-metre (407 ft) high concrete gravity dam located on the Yenisey River about 30 kilometres (19 mi) upstream from Krasnoyarsk in Divnogorsk, Russia. It was constructed from 1956 to 1972 and supplies 6,000 MW of power, mostly used to supply the KrAZ (Krasnoyarsky Aluminievyy Zavod, Krasnoyarsk Aluminum Plant). 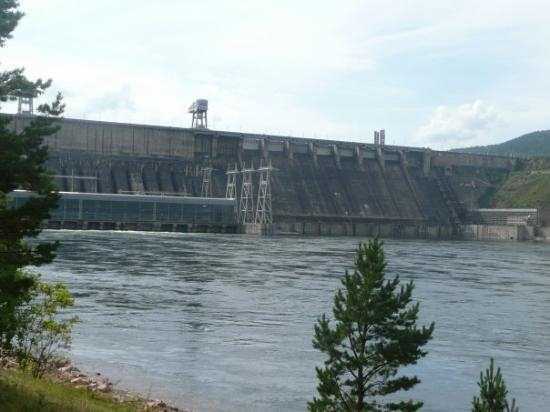 The Robert-Bourassa generating station (formerly known as La Grande-2) is a hydroelectric power station on the La Grande River that is part of Hydro-Québec's James Bay Project in Canada. The station can generate 5,616 MW and its 16 units were gradually commissioned between 1979 and 1981. Annual generation is in the vicinity of 26500 GWh.